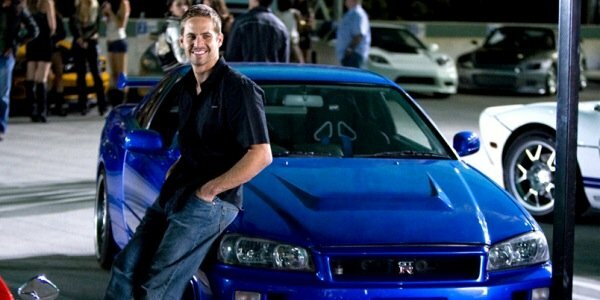 Kristy wrote a passionate piece explaining why the producers of the upcoming Fast & Furious 7 need to let Paul Walker’s character, Brian O’Conner, die. "It could be a tribute," she wrote, "honoring not only the self-sacrificing character audiences have grown to love but also to the actor/philanthropist Walker was." Reading the comments under the article, many of you agreed. Brian would never never leave his partner in crime, Dom (played by Vin Diesel). As awkward as the situation might end up being – because of the way Walker passed away in real life -- Fast fans seemed to agree that they needed to see Brian die as some form of closure. There’s only one problem. Universal, and director James Wan, don’t see it that way. They’ve already announced that they plan to "retire" Walker’s character, though they stopped short on explaining just how, exactly, they are going to use already-shot footage and rewrites to give Brian a proper send off. That’s where we step in. We’ve come up with five options for Walker’s character. Some are serious. Some are tongue-in-cheek. But all would prove worthy of a fitting farewell for this character who has blazed a unique path into pop culture’s collective heart. Not the sexiest option, but it sort of fits with what we know might happen in Fast 7. When last we saw the boys, they were about to become the target of a very angry Jason Statham, who had eliminated Han (Sung Kang) and was planning vengeance on Dom, Brian and the crew. Maybe Statham’s villain, Ian Shaw, puts such fear into O’Conner’s heart at the start of Fast 7 that the former cop agrees to enter the witness protection program, seeing it as the only option to start over somewhere safe with Mia (Jordana Brewster) and their son? This was hinted at in Furious 6, with O’Conner returning to the United States as a prisoner to get closer to Braga, the drug lord he busted years prior. Knowing that the producers need to eliminate O’Conner from the franchise for the future, it’s possible that Brian – plagued by guilt for the crimes that he committed – turns himself over to the authorities (led by Hobbs, perhaps) and agrees to go away for a long, long time. In the process, he swears never to give up Dom and the crew. His silence solidifies his code, but it also means that Brian O’Conner will be cell-mate number 67549 for the rest of his life. Sad, but possible. Ah, the old "no fanfare" approach. We don’t know how much film Walker shot before he passed away. Maybe he shot enough for Wan and his team to complete the bulk of Fast 7? Maybe Brian and Dom can get the best of Ian Shaw, allowing them to complete the mission at hand. And when all is said and done, Brian simply decides that he has had enough of the criminal life on the road. He’s going to hang up his car keys, and retire from the lifestyle. Universal did use the specific term "retire" when they discussed their plans for Walker’s character. This might not be the most satisfying end for the Furious mainstay, but I think it’s the closest guess to the ending that we are going to see. Now, let’s get a little weird and have a little fun with some wish-fulfillment guess as to the fate of Brian O’Conner. There’s no way around this: Brian O’Conner is ridiculously handsome. And even at the ripe old age of 40, Walker looked like he could roam the halls of a neighborhood high school, fitting in with the cool kids as he charmed the populace, bringing down criminals from the inside. Brian O’Conner? Welcome to the Jump Street program. Picture this: O’Conner needs to pay for his crimes. At the end of Fast 7, he returns to his old squad house, ready to face the consequences for his actions. He walks into an office and sits down across from Nick Offerman. "Brian, I have a unique solution that is going to solve all of our problems," he says. He hands Brian a folder with the words "Jump Street" on the front. End credits. The audience erupts! Right? Easily my favorite of all five options, but also the one that can never work… or can it? Imagine this: Brian and Dom have vanquished Ian Shaw. Dom hops in his car and speeds off into the sunset. Brian watches him go, but a rumbling noise behind him makes him turn. Expecting to see a race car, Brian instead spots… a spaceship! Riddick steps off. Brian’s shocked, for this creature looks EXACTLY like his best friend, Dom! 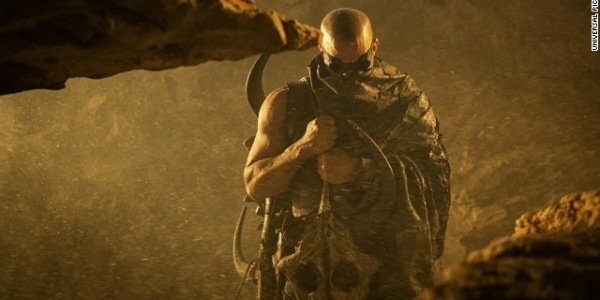 "Earthling, my name is Riddick," the sci-fi mountain man exclaims. "My world is doomed. I need to find someone who can pilot an incredibly fast ship. The fate of the universe is in my hands. Do you know anyone who can help?" Brian turns to the camera, grins, and we slam to end credits. Like I said, it can’t ever happen. But wouldn’t it be amazing if it did?